6/21/2012Share this story on Facebook! It doesn't stop with summer orientation. Throughout your freshman year, the First-Year Experience program plans tons of special speakers, information sessions, and activities for new students. 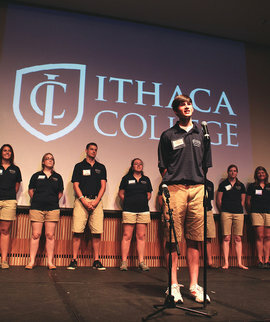 Become a friend of "Ithaca FYE" on Facebook for more awesome pictures from Orientation! 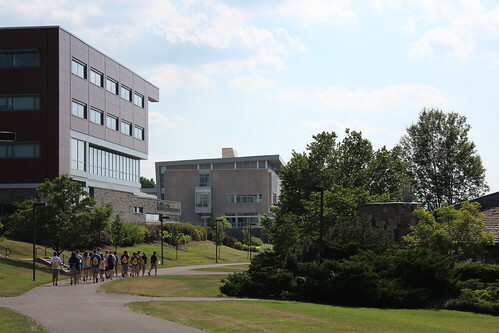 If you're coming to Ithaca College next fall, you've probably marked a few days on your calendar for summer orientation. But what can you expect from the program? 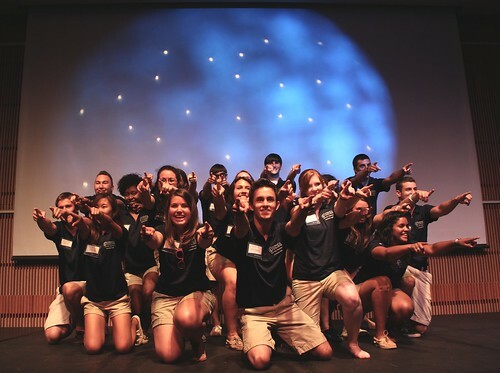 We checked in with orientation leader (and Fuse writer!) Conor Harrington '13, who gave us the inside scoop on plans for the summer. 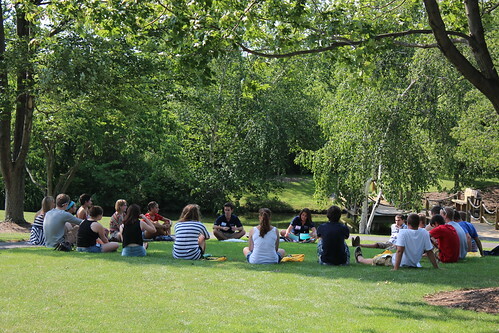 IC's summer orientation is designed to help make the transition to college a little easier. Harrington says the two-and-a-half-day program is jam-packed with information, as well as social activities and games, plus a few surprises along the way. "The other part of orientation is having fun," he says. "Whether you're introverted or extroverted, there's something for everyone." Learn the basics: During the information sessions, you'll learn about the residential dorms and living communities, housing lottery, and campus safety. Plus, you'll pick up your student ID card. Your first day of college will be a breeze! Register for classes: Signing up for courses as an incoming freshman can be confusing and overwhelming. Never fear! At orientation, you'll sit down with a small group of current students and faculty in your school to sort through the course catalog and pick the classes you need for your major, as well as a few electives that interest you. By the end of the program, your first semester schedule will be ready to go for when classes begin in August. Check out the dorm and dining hall experience: For two nights, you'll get a taste of dorm life in the campus quads and try the food in the Terrace Dining Hall. For vegetarians and students with food allergies, there's plenty of vegan and gluten-free meals and snacks to choose from. It's also a great way to get more familiar with the campus and reduce your chances of becoming "that lost freshman" on your first day. Meet new people: It's always nice to know a few friendly faces on your first day of college, and the programs at orientation will help you get started early. Who knows? Maybe you'll meet your future roommate or a few really great new friends. Plus, "the orientation leaders are all a friendly, quirky, and hilarious group," Harrington says. They're all current students who were once in your shoes, too. Have fun: Trust us, we're serious about this one. Even though there's a lot to learn, you can look forward to skits with the orientation leaders, movie nights, activities, games, and prizes at "Orientation After Dark." If you're still a little a nervous, that's normal -- we've all been there before. IC's orientation leaders are here to answer any questions and help you in the right direction. "I would encourage people to put themselves out there and get involved in orientation," Harrington advised. "You're going to be meeting so many new people in the next few months, and it's good to get started early. You'll be starting off on the right note."